Congratulations Lindsay Rutland! I just know you are going to love your new tote! 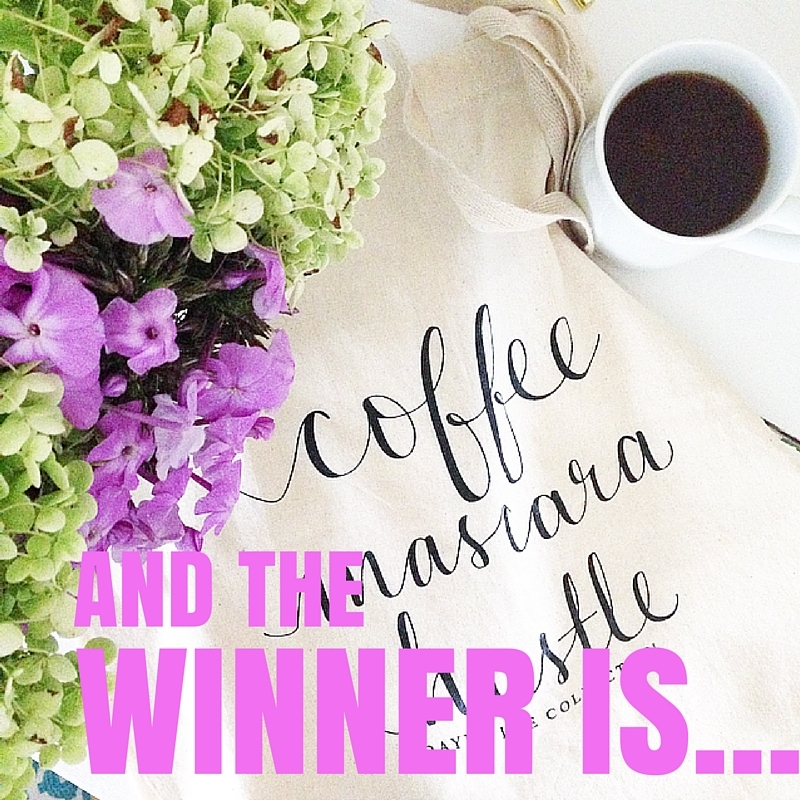 Thank you all so much for entering the Coffee/Mascara/Hustle Tote Giveaway! And don't be too sad if you didn't win, you can purchase Dayna Lee's fun collection on Etsy!